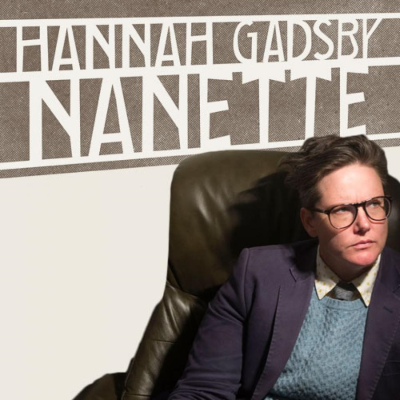 Gadsby's much buzzed-about Netflix special Nanette stands in stark contrast to Maher's recent HBO special Live from Oklahoma, says Matt Zoller Seitz. "The cultural tendencies and patriarchal tactics that Gadsby tears apart and then offers up for our inspection are presented without irony or comment in Maher’s Live From Oklahoma," he says. "Maher’s special is listless, comedy-flavored grumbling — an hour of the same formless, theoretically liberal but sounds libertarian posturing that fills up Real Time With Bill Maher. The gap between Gadsby’s vision and execution and Maher’s is vast. Imagine George Carlin’s career-redefining and still scathing What Am I Doing in New Jersey? on one side of a canyon, and on the other, a man in a suit yelling into his iPhone about political correctness while waiting on line at Whole Foods." Gadsby's Nanette almost directly criticizes Maher and other comedians of his ilk, "men who worked for decades to acquire the platforms they now possess, yet seem to take them for granted and are rarely caught pondering politics except as it relates to their ability to get the primo bookings they believe they’re entitled to," says Seitz. Older, established comedians like Maher, Jerry Seinfeld, Ricky Gervais, Larry David and Dave Chappelle "often natter on about 'political correctness' and the endangerment of 'free speech,' which in their case translates as the right to say whatever they want and never be criticized. In their minds, being called out constitutes a horrendous infringement on artistic freedom." At worst, he says, "they’re regurgitating old styles and points of view and sounding culturally as well as artistically conservative in the process. They’re coming at comedy from a defensive, even beleaguered position." But in actuality, complaints about "political correctness" are a fear that the status quo is changing. "No one, and I mean no one, is saying that straight guys, white or otherwise, shouldn’t have a place in comedy anymore," says Seitz. "Only that — like the brilliant (John) Mulaney, who has described himself on many occasions as the whitest man alive — in the future, they’ll have to take more risks and work harder to earn a spot that might’ve been more easily obtainable 20 or 30 years ago, when the sight of a woman or a person of color onstage was more of an anomaly. They’ll also have to listen, or at least pretend to listen, when somebody calls them out on their subject matter, their joke writing, or their political opinions. They’ll have to refrain from trying to short circuit debate by claiming that the other person is too sensitive or 'can’t take a joke' or is somehow endangering their free speech. And they’ll have to make peace with the fact that, if they’re able to claim a spot of prime cultural real estate, they’ll be expected to constantly defend it as they age, by becoming better at the art and craft than anyone who dares to accuse them of sucking up cultural oxygen that should be nourishing them instead. This might sound daunting. Maybe it is, if you’re Maher. But it’s ultimately no more unfair than expecting white athletes to work harder to claim a spot on professional teams after their sports were integrated." ALSO: Gadsby showed how stand-up comedy is broken, especially when it comes to humor in comedy.